This is so quick and easy to make, I love it! Beat the cream cheese, extracts and 2 T. sugar until smooth. Blend in whipped topping. Spoon mixture into graham crumb crust. Refrigerate for 2 hours. Garnish with sliced strawberries or strawberry syrup. Serve. Thank you Katherine and thank you for the party! Yum! Thank you for spreading JOY and sharing at the Oh What a HAPPY Day party. Easy peasy and super delicious!! Thanks for the yummy recipe!! Looks so delicious!!! The best part is not having to turn on the oven to make this. 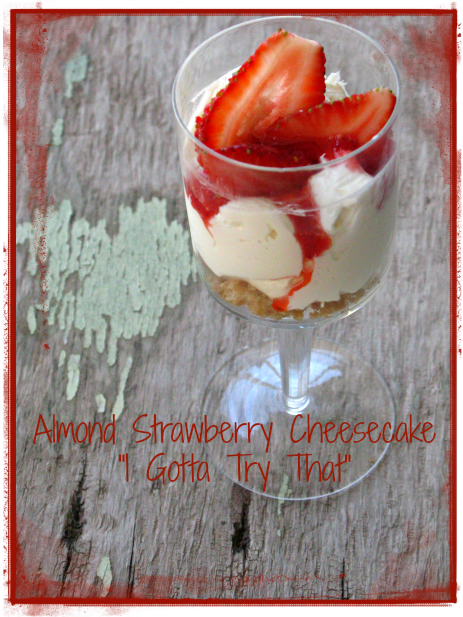 Easy and no bake??! Love it! Thanks for linking up to All My Bloggy Friends - I can't wait to see what you share this week! YUM! Love that it's no bake! Thanks for sharing at my Pin Me Linky Party!